The boys live in residences on-campus comprising of cottages and group homes. Each residence has youth counselors over-seen by a coordinator. Residence staff work several days in a row with a partner, sleeping in their assigned residence. This gives the boys in the cottage a consistent adult present in their residence over a period of days and a normal and stable house routine. A coordinator is either on-campus or on-call at all times and is able to provide additional support to the boys as needed. Unlike some residential schools for troubled youth, Hanna works hard to create an environment of nuturing and inclusion rather than one of restriction. In addition to supervising and acting as role models, our youth counselors help each boy develop socially appropriate behaviors—from using good table manners, maintaining personal hygiene and making a bed—to fulfilling assigned chores. Boys are also taught a variety of life skills, including cooking, budgeting, finding employment and preparing for life away from a protected environment. Cottages: Each cottage has semi-private bedrooms (two boys to a room), bathrooms, a living room, game room, study area with access to computers, laundry and a kitchenette. For cottage residents, meals are served in the campus dining hall. Group Homes: Each group home has semi-private bedrooms (two boys to a room), bathrooms, a living room, game room, study area with access to computers, laundry, a full kitchen and a dining room where boys can prepare and enjoy their meals. 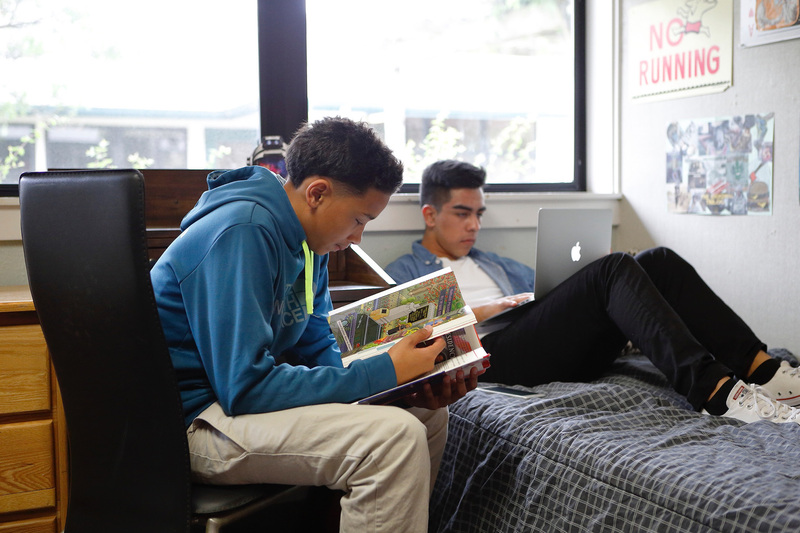 Group meetings, circles and other activities in the residences encourage the boys to communicate openly with each other, respect one another and treat each other well.